I am sure most of you lovely readers recognize my MAÉNIA jacket, because it seems to accompany me everywhere I go, but I feel that it will indeed be a stylish companion in all my travels, and fashionable years to come. Previous Welcome To The New TCS! That was bold! Go girl!! i love your jacket 🙂 colorful and gorgeous! 🙂 pictures are really great as well! I am still so obsessed with that jacket, so beautifully constructed! Love the light & the graphic shadows in that last photo too, gorgeous! 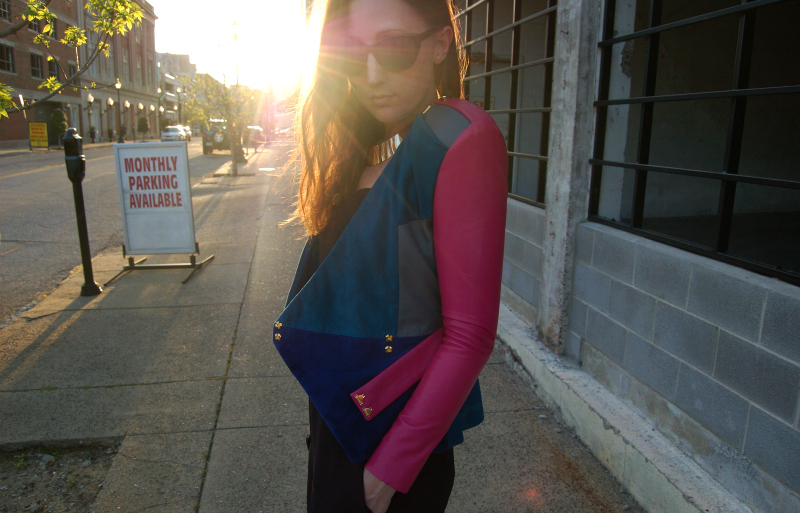 love the cut and colors of your jacket!